Introducing the new generation of Miele dustbags that offer you the highest levels of efficiency when using your vacuum cleaner on a lower power setting - The Miele GN HyClean 3D Efficiency Bag & Filter pack. 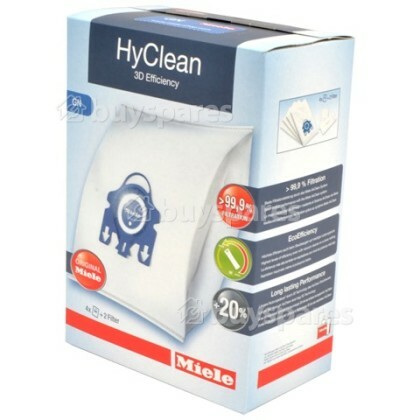 Miele HyClean 3D Efficiency dustbags are the first random-spun bag with 3D effect; the new sidefolds ensure even the slightest flow of air is sufficient to inflate the 3D form. 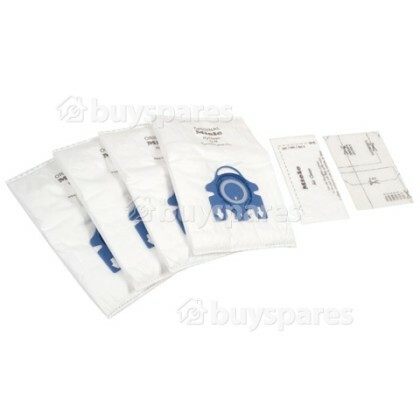 The GN bag volume will allow you to vacuum for up to 20% longer before it needs replacing. 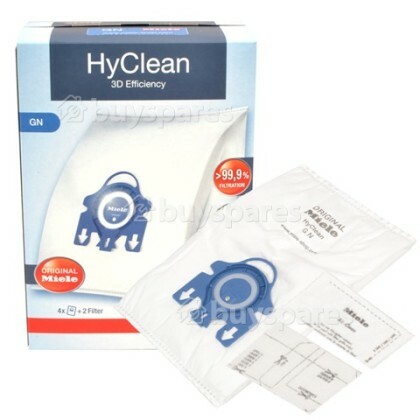 With the GN HyClean 3D Efficiency Dust Bag you will be able to save energy when vacuuming without compromising the high cleaning performance of your Miele vacuum cleaner. 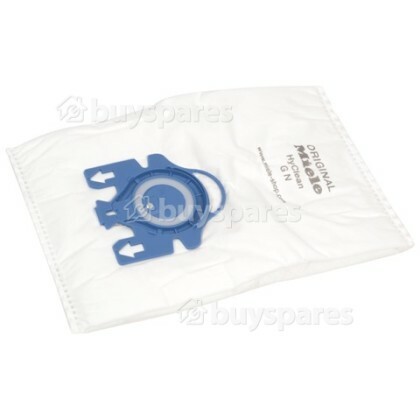 Featuring an innovative filtration system the GN bag is free from high dust re-emissions when cleaning or changing the vacuum bag and a lock and key lid ensures that dust stays in the bag.